If you own an Ultra HD (UHD) TV, the chances are you continue to be annoyed by the underwhelming volume of broadcast 4K content you can watch on it, regardless of what TV service provider you have. That's especially the case if you subscribe to any cable TV service. The vast majority of U.S. TV service providers and TV network executives haven't exactly been in any meaningful rush to shift from HD to UHD or 4K. Sadly, that's not expected to significantly change anytime soon based on comments in recent months by various experts on the subject, including analysts, consumer electronics manufacturers, and TV network executives despite the post CES manufacturer buzz being all about the pending reality of 8K video monitors. You can, of course, opt to upscale HD broadcast content to UHD on most 4K TVs. But scaling from 1080i or 720p, which is what most networks broadcast in, to 4K on many of today's lower-priced yet very bright new 4K TVs results in an image that is nearly unwatchable. Better scaling in players, preamps, or receivers is a much better alternative if you want to cough up the extra bucks for that. Not surprisingly, most of the small amount of satellite content that's been broadcast in 4K so far has been sports. 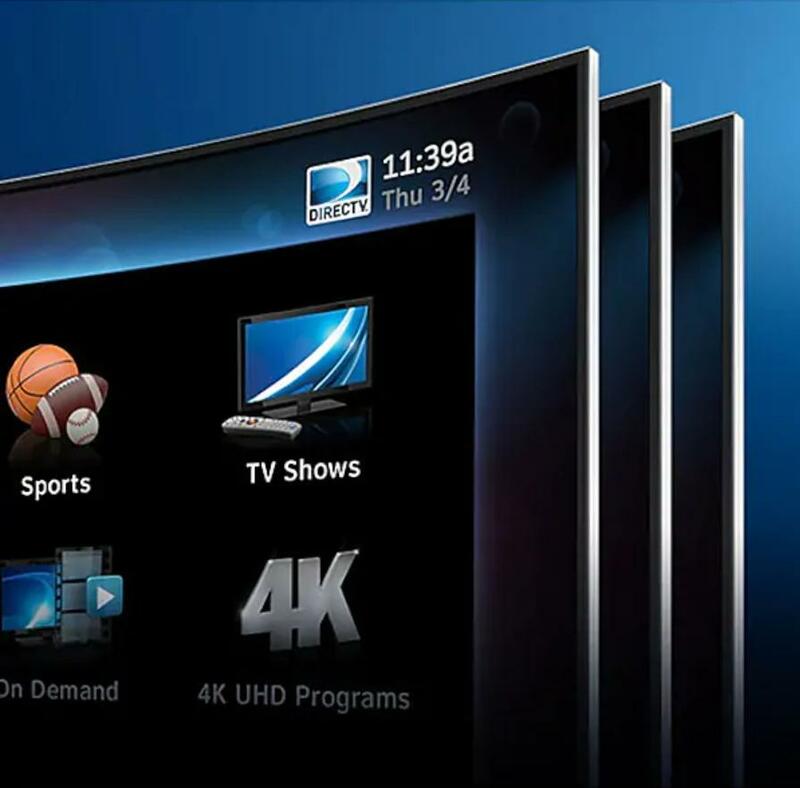 The best UHD option among TV service providers so far has been DirecTV. The now AT&T-owned satellite service offers more 4K than its rivals, including three channels dedicated to 4K content and some 4K pay-per-view also. Dish, meanwhile, despite the "limited availability of 4K programming," has been "making every effort to deliver" UHD content when possible, according to company spokeswoman Emma Brandeis. It's been delivering 4K broadcasts on its designated 4K channel (540) "throughout the past couple years, like live college football, college basketball and MLB games" from Fox Sports, and 4K HDR broadcasts including the 2018 World Cup and NBCUniversal's coverage of the 2018 Winter Olympics from PyeongChang, South Korea, she said. Dish satellite customers also can access on-demand 4K content from Epix, Smithsonian Channel, and TV Land, she noted, adding BBC America's newest nature documentary, Dynasties, is available in 4K on demand through March 25 and 4K titles on the Sony Movie Channel will be available starting in March. Verizon announced late last year that it started rolling out Fios TV One set-top boxes that offer "4K capability" and "full 4K UHD video quality" to subscribers of its fiber-optic service. The company currently offers only 4K video on demand, but expects to "expand our portfolio in the future," a Verizon spokesman said Feb. 28. As has widely been reported, cable TV service providers have generally offered the least amount of broadcast 4K content. 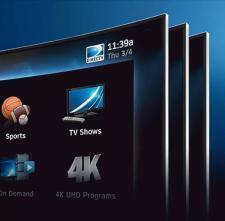 For example, Spectrum is "not offering any 4K content at this time," company spokeswoman Maureen Huff told me Feb. 27. Altice, meanwhile, didn't respond to a request for comment. Comcast, however, provided access to NBC's on-demand 4K coverage of the Rio and PyeongChang Olympics, as well as Telemundo's on-demand 4K coverage of the World Cup, a company spokeswoman pointed out. Via voice search using its Xfinity X1 TV set-top boxes, meanwhile, subscribers have been able to access 4K programming from streaming services including Amazon Prime, Netflix, and YouTube, she said. Among the major networks, NBC Sports offered 4K coverage of the 2016 Summer Olympics from Rio de Janeiro, Brazil, and 2018 Winter Olympics that also featured High Dynamic Range (HDR). It also offered 4K HDR coverage of Notre Dame college football home games during the 2018 season, Mark Lazarus, chairman of the NBC Broadcasting & Sports division of Comcast, told me at the Sports Video Group (SVG) Summit in New York City in December. But NBC wasn't exactly rushing to broadcast a larger percentage of broadcasts in 4K due to a variety of factors, including the UHD adoption rate at the multichannel video programming distribution and consumer levels, as well as the ongoing shift among broadcasters to the new, ATSC 3.0 next-generation TV broadcast standard, he said. 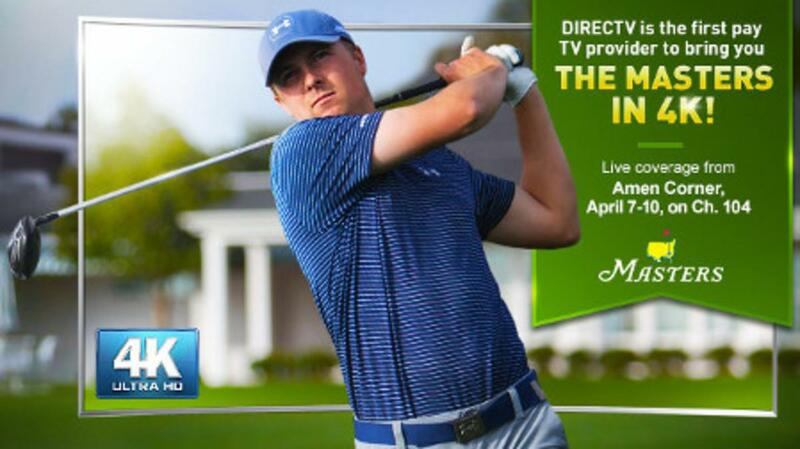 NBA basketball, meanwhile, has a partnership with DirecTV for a limited number of games in 4K with HDR, while The Masters (golf major) has been a leader in 4K, and a limited amount of NHL hockey has been broadcast in 4K. But other sports, including NFL football, have still largely been missing in action when it comes to 4K broadcasts. CBS Sports reportedly used UHD cameras for this year's Super Bowl, but only broadcast the game down-scaled to HD resolutions. CBS, which is also the parent company of Showtime, didn't immediately respond to a request for comment about its 4K initiatives. Disney-owned ESPN, meanwhile, has 4K cameras and other UHD capabilities, but hasn't broadcast any sports events in UHD yet. ABC, also owned by Disney, didn't immediately respond to a request for comment. Nor did HBO, which is now owned by AT&T. But AT&T, Disney, and Fox executives rarely ever even discuss UHD on their companies' earnings calls, focusing far more often on their mobile streaming initiatives. Vincent Roberts, a now-retired executive vice president of global operations and chief technology officer at the Disney ABC Television Group, pointed out at a conference back in 2014 that his company had only recently converted some of its channels to HD and predicted the UHD rollout would take a while. TV service operators that had "adequate bandwidth will offer the first iteration" of 4K, but for ABC to "even contemplate a whole channel in 4K" was difficult at that time because there were simply "not enough eyeballs out there"--in other words, not enough subscribers--"to make a business case," a published report quoted him saying. If a TV service operator offered Disney a decent per-month subscription "then it might be a different argument," he said, adding: "We don't feel that we as broadcasters should be subsidizing" the consumer electronics industry so that it could sell more TVs. Unfortunately, not a whole lot has changed for TV networks when it comes to 4K broadcasts.